‘Tis the Season: Slipping On Ice and Property Owners’ Liability for Injuries. The Dallas area usually feels the seasonal changes to a greater degree than most of the other areas of Texas. While shopping, eggnog, and holiday parties are moving people out and about, the ubiquitous ice storm will be here soon to blanket the Metroplex. When it does, chances increase of slipping on ice and injuries to occur. So what are the duties of a property owner/manager and when can an injured victim assert a viable personal injury claim in such cases under Texas law? 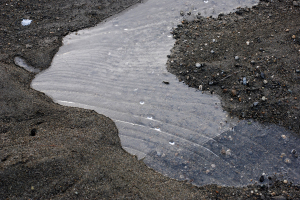 Injuries from slipping on ice fall under premises liability law. This area of the law has various facets in Texas. The type of duty owed to the person on the premises depends on what the status of the person is. That is, whether the person is a trespasser, licensee, or invitee all affects the degree of duty owed by the landowner. In most ice cases, landowners are to warn a person on his or her property of an “unreasonably dangerous condition” or take measure to remove the dangerous condition. Whether the property owner knew or should have known of the dangerous condition is also important, but this issue relates to the status of the injured person and usually requires more thorough legal analysis. Two days of rain hits Dallas, Texas and the temperature drops below 32 degrees Fahrenheit. The ramp leading to the entrance of a convenient store ices over like the rink at the Galleria mall. Is this a dangerous condition? No. A Texas court would likely hold that this is not a dangerous condition and the property owner is not liable for negligence. A cold, wintery night blankets Dallas. The temperatures plummet, and a leaky air-conditioning unit on the side of a building of a taco joint causes a pool of ice. Is this ice spot a dangerous condition? Probably, yes. This is an example of where the ice was created by unnatural pooling of water from the air conditioning unit – and not merely natural icing and precipitation. It is important to note that the Texas Supreme Court in the Scott & White decision only analyzed common law negligence regarding ice. Other claims such as negligence per se may exist against the property owner. Negligence per se pins liability on a defendant when the defendant violates a code, regulation, or statute, and that violation injures another. For example, the City of Dallas has a city code that requires property owners to take certain measures to remove ice within a specific time. A knowledgeable premises liability attorney should be consulted when an injury on ice occurs. After legal analysis of the facts and the applicable law, the attorney should be able to recommend the best course of action regarding the pedestrian’s bodily injuries.